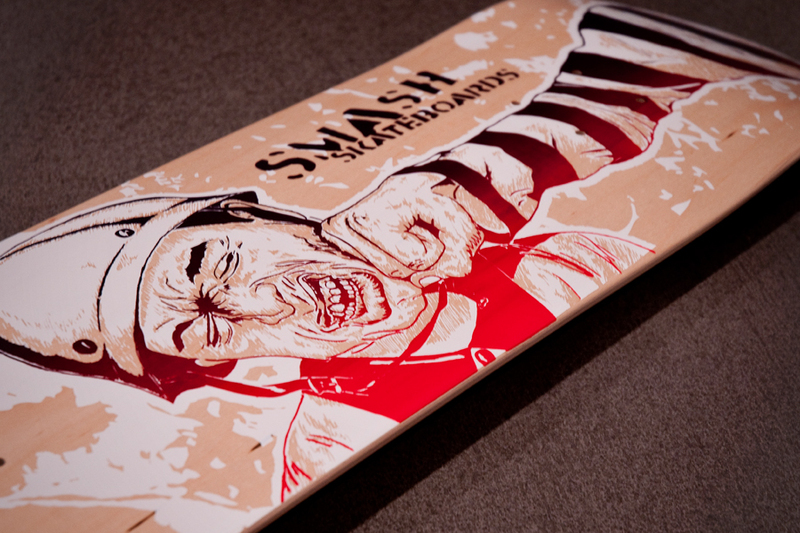 This entry was posted on January 7, 2011 at 11:19 pm and is filed under news, skateboarding with tags ben bridgers, screenprint skateboards. You can follow any responses to this entry through the RSS 2.0 feed. You can leave a response, or trackback from your own site. My name is Geri Green, and I’m with ATIME2BUY AMERICAN. The excitement to buy products Made in America is gaining momentum. So much so, that we have devoted a section on our website exclusive to the promotion of “Buy Made in American for the Holiday’s. We’ve included a link to your website has another source for consumers to locate your product. Also, we’ve launched a media campaign to keep the momentum fueled. Proceeds from our directory support the campaign. Please click on our site below. May your 2011 profits be spectacular! I wanted to know how did you guys make your screen table?